Many credit cards offer sign up bonuses where you get the bonus AFTER you meet a certain spending limit in 3 months. This is often $3k-$5k or even more. If you don't normally spend that much, this can be a challenge. Here is an interesting way to meet your spending limits on your credit cards so you can get those big bonuses. 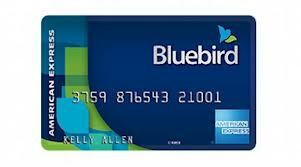 Get a Bluebird account and wait 4-7 days for your prepaid card to show up to you in the mail. 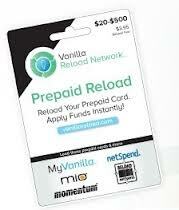 Purchase/Load $500 onto a vanilla reload card with the credit card that you want to do the spending on. The only place that I've been able to do this at is CVS and they would only let me load two $500 in a single purchase. There is a $3.95 fee to load the card. A credit card with 1% cash back will earn you $5, so yes there is a fee, but you end up getting it back plus an extra buck in rewards. Go to your Bluebird Account and there you can either pay off the credit card you made the purchase with or put the money into your bank account to pay off the credit card you made the purchase with. This service is FREE, so you are able to liquidate your cards you bought. This method is even more awesome if you have a card that gives you 5% cash back at drug stores, or office supply stores, ect. CVS is a drug store and you will actually make money buying these cards with the right card. For example if you buy $1000 your fees will be about $8, but you will earn $50 in cash back so you in effect make $42. Cards that have 5% at drugstores right now until the end of the month are Citi Dividend and Chase Freedom. UPDATE: there are currently NO cards that give you 5% cash back at drug stores...maybe there will be soon?? What is a "reload card"? I can't find a place that will let me purchase vanilla reloads with a credit card. Now what? You may be out of luck. 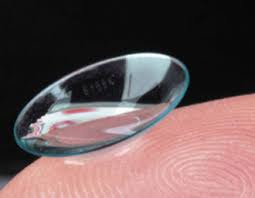 The best places to look for them are CVS stores, gas stations, or office depot. Many stores make you load the cards with cash. I've only seen them at a couple of places so far. Walgreens would not accept credit cards for me. Where can I get Vanilla Reload cards? There is a list of places that sell these cards at www.vanillareload.com. Can I buy other Reload Cards and do this? Maybe, but most reload cards have to be purchased with cash and you can't load them onto Bluebird, which offers a free way to liquidate your cards. Do you know if the CVS on union hills and 59th sells them? Yes, they do. They say $1000 daily limit.